SORRY NOW SOLD. MORE REQUIRED. 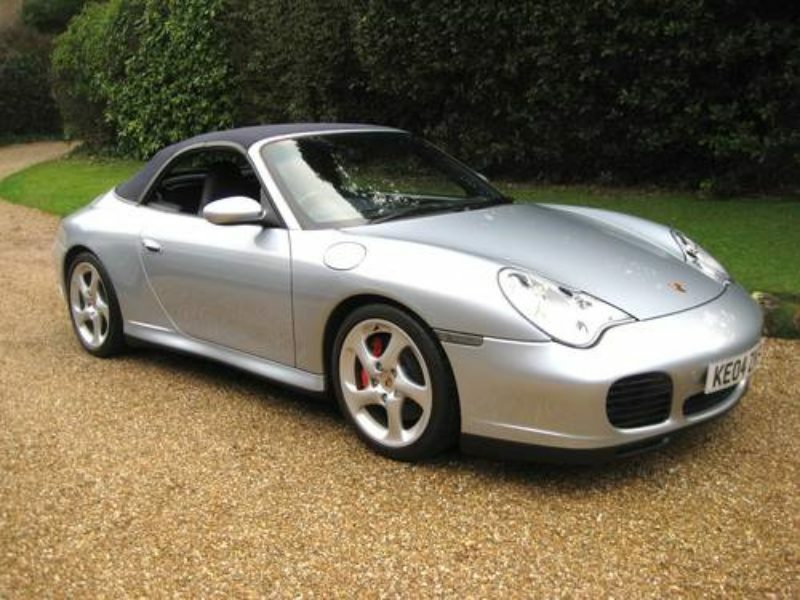 1 P/OWNER WITH ONLY 27,000 MILES FROM NEW + JUST HAD MAJOR DONE 500 MILES AGO SERVICE BY SUPPLYING PORSCHE MAIN AGENT. 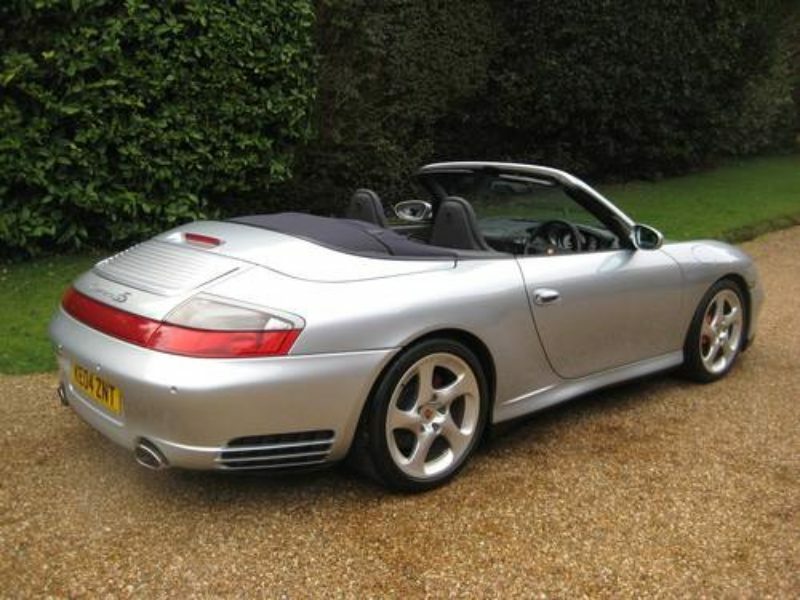 This must be one of the lowest mileage, most original Carrera 4 S Tiptronic S convertibles available today. Cost new £85k with a massive £15k of optional extras. 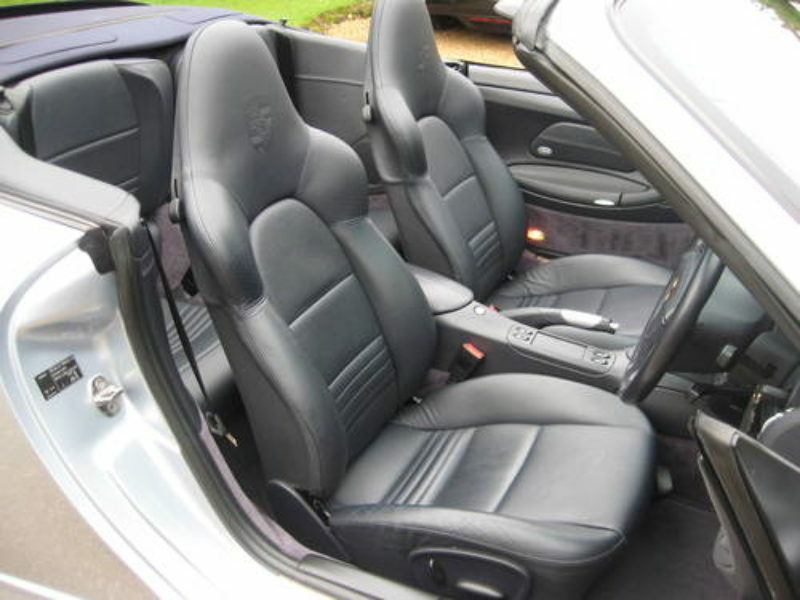 Finished in very rare special order Polar Silver Metallic with Metropole Blue full leather & matching Metropole Blue hood, Polar Silver hard top. 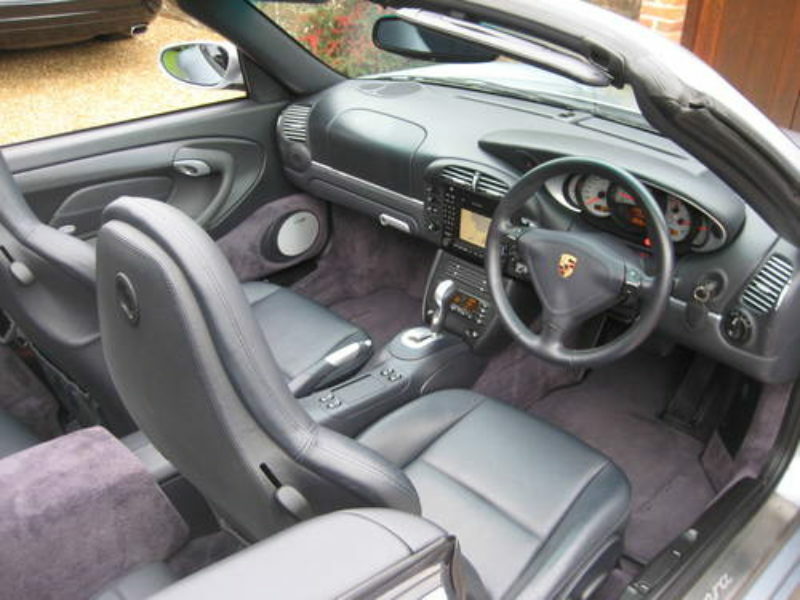 Specification includes Porsche PCM 2 Satellite Navigation System, PCM 2 Telephone Module, BOSE Digital sound system with CDC-4 six disc CD auto changer, full leather sports seats with leather backrest & Porsche crest embossed in headrest, heated seats, cruise control, aluminium look large package with aluminium coloured instrument dials, Tip S gear selector & handbrake lever in aluminium, leather sports 3-spoke steering wheel with leather steering column casing, leather rear centre console, leather sun visors (illuminated), auto dimming interior & exterior mirrors, door entry guards in stainless steel, rear parking assistance, Xenon Litronic lighting system, unmarked 18″ turbo look 2 alloys with colour crested wheel centres & new Pirelli PZero tyres, floor mats with Porsche logo + PORSCHE SWITCHABLE SPORTS EXHAUST SYSTEM (SOUNDS AMAZING). 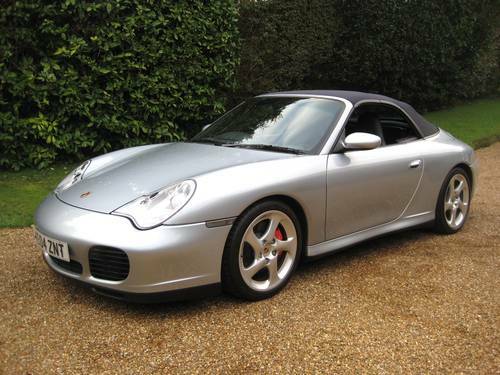 Supplied new by Porsche centre Hatfield in Hertfordshire with every service done by Porsche Centre Hatfield (6 services in total) + JUST HAD MAJOR SERVICE DONE 500 MILES AGO BY PORSCHE HATFIELD. 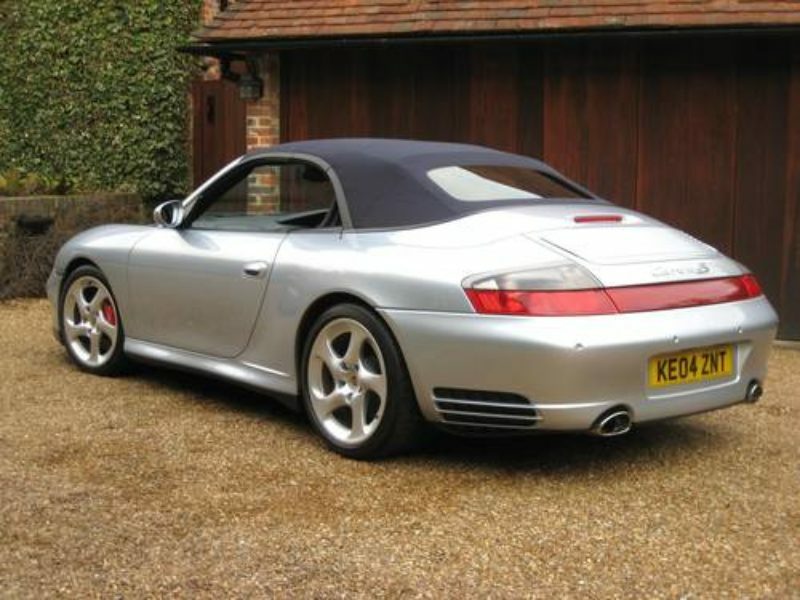 Complete with fully documented history file including original spec sheets & every service invoice from new.